One of my goals this year is to learn how to meditate. 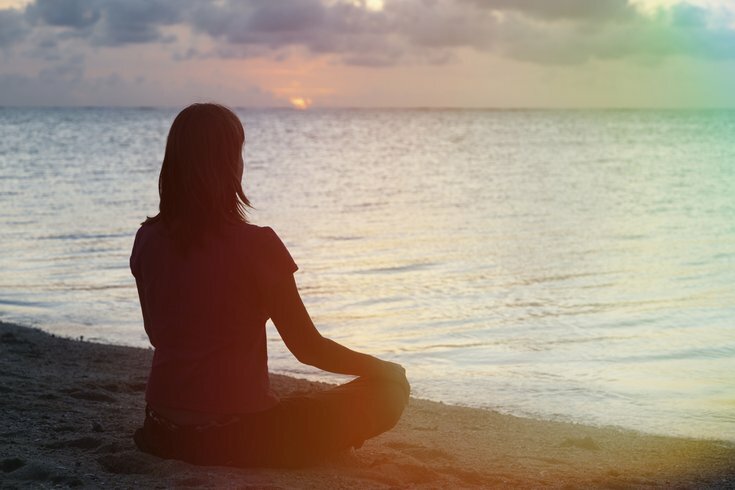 I’ve read about the health benefits associated with a regular meditation practice. However, I have a few questions and I hope you can help me. My first question relates to a recent argument I had with my boyfriend about meditation. He believes that meditation is eastern in origin. Given the fact that we are both Catholic, he worries it will take me away from my faith. How do you suggest I respond to his fear? Finally, I feel overwhelmed when I try to pick a form of meditation to practice. I want to start with something simple. Where do you suggest I begin? Thanks in advance for helping me sort through these matters. First of all, thank you for reaching out. I’m hopeful you find the following reflections helpful and encouraging. It’s true that meditation is good (actually very good) for your health. A growing number of peer-reviewed, scientific studies affirm a daily practice of meditation entails numerous benefits. Whether one wants to reduce the chemical hormones associated with stress, lower high blood pressure, or simply improve the body’s ability to sleep soundly at night – a daily practice of meditation positively and significantly impacts a person’s overall well-being. In fact, earlier this year, neuroscientists at Harvard reported that even eight weeks of daily meditation practice change the shape of the brain by enhancing the areas associated with memory, learning, emotional regulation, and sense of self. You are aware of such studies and they inspire you. Yet, important questions arise. What are the origins of meditation? How to respond to your boyfriend’s concerns? Finally, which form of meditation practice do you choose? In my experience of teaching meditation for over 20 years, I can assure you that you are not alone in posing such questions. The intentional practice of entering silence, calming the tumultuous ocean of everyday thoughts and feelings, and intuiting a deeper source of wisdom within is very much rooted in our collective human experience. Just as the formation of language is a universal feature of human existence, the practice of intentionally calming the mind and resting in silence is found in wisdom traditions worldwide. American philosopher Ken Wilber notes there are deep and surface structures present in all human societies. Deep structures -- like the existence of language, music or art -- constitute universals, things found in every time and culture. Their particular, or surface, manifestations express in the diversity of the world’s languages, music and artistic renderings, for example. Surface expressions change. They differ according to time and place. Deep structures are constant. Think of deep structures like water. Waves may take many shapes but they are all made of the same H2O. Your boyfriend has genuine concerns about your spiritual well-being. He is worried that a daily meditation practice will take you away from the truth you embrace in Catholicism. How to respond? You can appreciate the positive intention behind his concerns. After all, he loves you and cares for you. You can appreciate this care while also gently noting that he is confusing a surface expression of meditation for the deep structure it represents. In other words, he assumes meditation is rooted in the east because he associates meditation only with practices found in Hindu or Buddhist traditions. This would be like associating music with string instruments alone and claiming that music originated with their invention. Meditation is not eastern in origin any more than music is eastern in origin. Cheryl, I believe a daily practice of meditation not only can improve your health, it can deepen your Catholic faith by offering spiritual comfort in difficult times. Meditation can take your prayer life to new levels of receptivity, peace and insight. Think of prayer as the knocking and meditation as the listening. Hopefully, such metaphors will help ease your boyfriend’s fears. Finally, let me say a few words about choosing a meditation practice. Bhavani Lorraine Nelson, a beloved and well-respected teacher of meditation at the Kripalu Center for Yoga and Health in Lenox, Massachusetts, often poses the following question to her students. “The one you do,” she answers with a smile. Yes, the best form of meditation is the one that you do. That being said, I appreciate the sense of overwhelm that can unfold when a new meditator tries to pick her initial practice. To aid you in this regard, I offer up a simple, five-minute breath awareness meditation. Consider it a stepping-stone into the world of daily practice. Begin with this five-minute sit. Work with it for a week or two. Then, increase the length of the silence by 10, 15 or 20 minutes as inspired. I suggest setting a gentle chime on a timer so you can rest with your breath and give no thought to how long you are sitting. The trick is to be consistent. As best as possible, sit every day. Of course, be gentle with yourself when, or if, you miss a day. It makes no sense for one’s meditation practice to become a source of stress. I wish you the best as you begin this remarkable journey. As a long time meditator, I often find myself brought to tears with gratitude for the quiet, soft, gentleness that opens through practice. Even when my mind is spinning with stress, through sitting with the intention of simply being present to what is, the inner tumult finds release and dissolves into a wise silence characterized by peace.